Word on the Street: roll-on or spray? It’s a question as old as time itself. Or at least as long as there’s been two choices in the deodorant department — choosing between roll-on and spray-on deodorant is an issue that afflicts many of us as we stand in the aisle at the supermarket. But which do people prefer, and which really is better? Deodorant has a long history. In the 1880s it debuted as a cream to run on your underarms. In the 1950s it evolved into a roll-on canister, then later an aerosol spray. 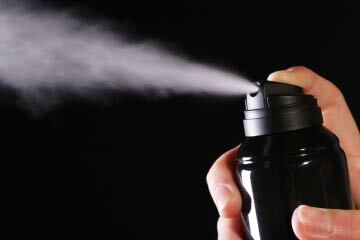 A study released in 2013 showed that 61% of men surveyed used spray, however, only 32% of women opted for spray. Jeziel spent most of his day going around the office asking opinions, and later opened it up to the text line: 0429 985 985. The verdict: the 98five family prefers roll-on. Good points were made about caring for the environment, staining skin and ruining lungs. The final percentages worked out to be roughly 75% in favour of roll-on.